A mouth-watering mix of huge blooms in shades of orange, salmon, rose and gold. 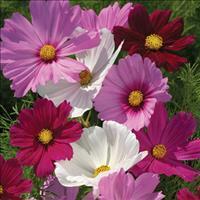 Easy to grow, just scatter in worked well-drained soil. Self sows. 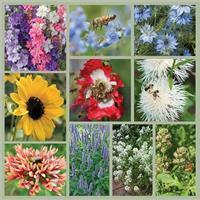 Attracts beneficial insects such as hoverflies. This Japanese bred cockscomb has embroidered chenille flowers of soft yellow and cherry red, much in demand for cut flowers, fresh or dried. 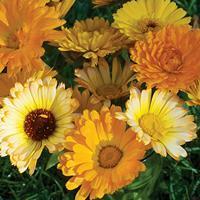 Outstanding in heat, it appreciates a fertile soil in sun and plenty of room to grow large heads of bloom. One of the very best cut flowers you can grow, this heirloom variety has scads of tousled petals composing large (4”) blooms in rich colors of rose, purple, lavender and white. 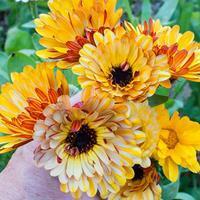 Long stems hold up these large flowers effortlessly and make arranging bouquets a snap. Mid to late summer to frost bloom. 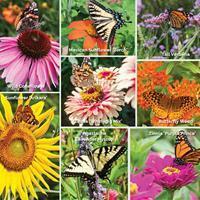 Change its location each year and spray with neem to keep bug free for robust flower-filled plants. A superb ground cover coleus that also is a stunner cascading over pots- providing the "spiller" component in your container combos. Cherry-rose and burgundy centers are surrounded by bright grassy green scalloped edges. Heat tolerant. 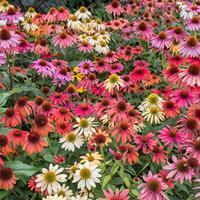 This stunning first-year flowering Echinacea captures the spirit of the North American plains by producing a delightful patchwork of flower colors from rich purple, pink, red and orange tones to lighter yellows, creams, and white. 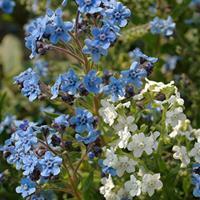 Compact and sturdy in growth, it adds sparkle to the garden from midsummer through fall. Latin Name: Echinacea purpurea hyb. Popular in the 1930s, when Bodger's catalog listed Extra Early Double Crested in pink, crimson and white. 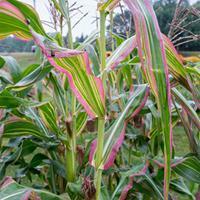 In fashion once again, this variety is from a long-standing French seed house. Self sows. A must-have mix of flowers in luscious hues of pink rose, and white that bloom non-stop all summer and attract bees to their golden pollen-filled centers. 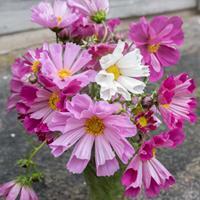 Compact and floriferous, they are favorite cut flowers. An antique form popular in the late 19th century, 'Seashells' has fluted petals curled into flaring tubes in shades of pink, white and deep rose. Tall stems hold these unique flowers aloft and freely blooming all summer. Deadhead for continual bloom. Tolerates humid heat. Self-sows. An old form once popular in the late 19th century, 'Seashells' has fluted petals curled into tubes of color in pink, white and deep rose. They bloom in summer and fall on tall graceful stems. Combine with masses of tall verbena. Self sows. Tolerates humid heat. Who knew dahlias from seed could be so easy? And so beautiful. Purple to deep bronze leaves with tall stems support single flowers in a mix of colors of yellow, soft orange, deep red, burgundy, and bicolors, too. Start indoors at the end of March in short season areas and set out after frost.